Our Keepsake Cuisine program is unique to in home care. First of all, it teaches the proper preparation of tasty, balanced, nutritious meals. On its own, this attention to detail is a huge plus when caring for seniors. At the same time, we educate our Companions to address issues important to the elderly (and their families) while they are cooking for our clients. This focus sets Keepsake Cuisine apart from senior care norm and transforms our Companions into Culinary Companions. 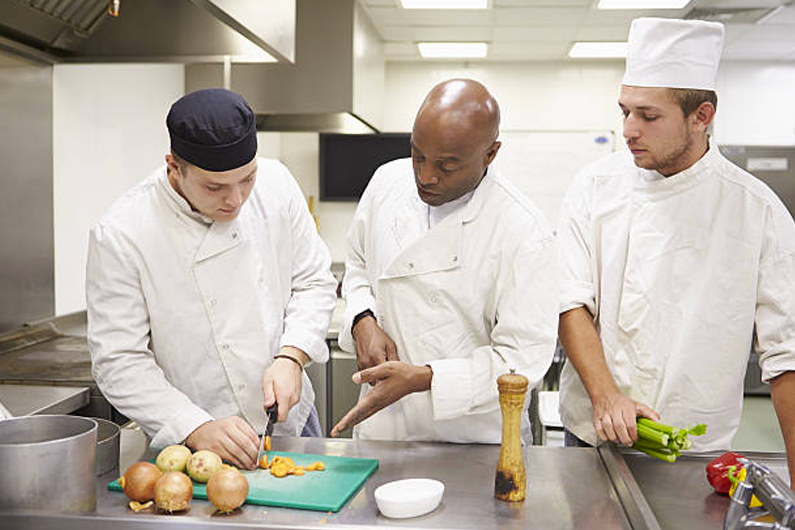 Our culinary training program takes nothing for granted. We drill on sanitation, teach the basics and science of food preparation, and provide guidance in meal planning. In addition, we focus on the "art" of cooking. Our Culinary Companions are taught how to present food in an appetizing way. They learn to blanche certain vegetables so that the vegetables stop cooking and retain natural flavor and proper texture. They are schooled on roasting, poaching, saut訮g and so much more. Difficulties in chewing & swallowing. Losses of appetite, the sense of smell and/or the sense of taste. Illnesses that limit what can be served and dictate how food is prepared. Our Keepsake Cuisine training addresses these issues. Executive Chef, Henri Chauzard, shares his wealth of culinary and senior care knowledge and experience with our Companions. See his list of accomplishments and listen to him talk about his kinship with seniors on the Our Staff page. When a senior is struggling with eating (or the desire to eat), our culinary companions help make the process easier for them. Here are some of the actions they may take. For someone with a limited appetite, too much food can be unappetizing. So we place smaller portions on their plate. Put a variety of items in one dish. You can include lots of nutritional goodies in casseroles and stews. Avoid water, dairy products and citrus juices at the beginning of a meal. They stimulate an overproduction of saliva that becomes thick, which can then cause or increase swallowing problems. Etiquette may be suspended. Dunking in the drink of choice can be encouraged to soften solid foods, including cookies and hard crusted breads.